A Christmas card in three fases. 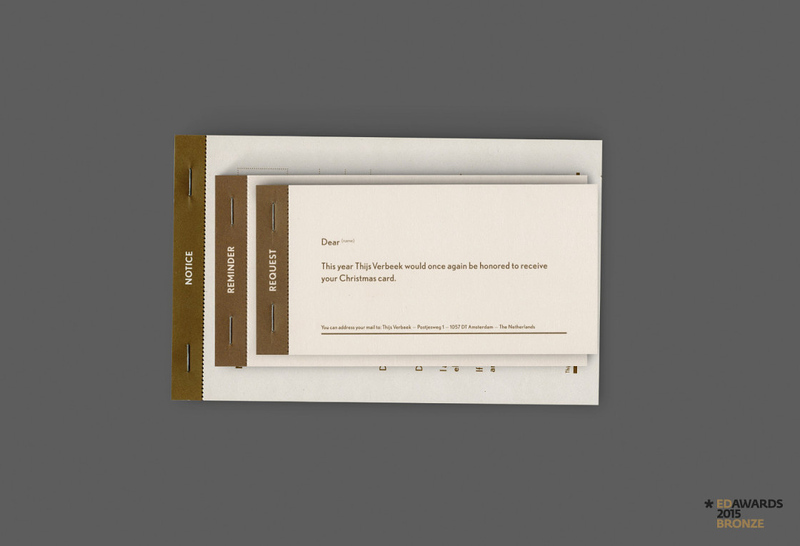 The first card is a request for a Christmas card, the second card is a reminder, the last card a ‘legal’ notice. This burocratic series is a playful reaction to the yearly obligation to send out Christmas cards.